We cannot allow ‘me-too’ moralism to defame the greatness of Rav Shlomo’s life. I feel a very strong urge to defend the soul of Rabbi Shlomo Carlebach from the slanderous campaign of the one dimensional, me-too moralism of politically correct liberalism. But I am afraid that if I write in too much argumentative detail on this delicate subject I could cause more harm than good .So I hope to be concrete, and not analytical. Orthodox Jews for whom Rav Shlomo’s Torah and music have become a meaningful part of their life will sense that I am not exaggerating in my description of the greatness of his contribution to the resurrection of Jewish life after the Holocaust. For those Orthodox Jews who have not yet made Rav Sholomo a part of their spiritual life, my somewhat picturesque concreteness will not convince them, but I truly believe that history will show the truthfulness of the words I am writing. I was one of the assimilated, young, Jews who grew up in a post World War II America without Torah in their lives. For us, Rav Shlomo traveled day and night, all over the Jewish world, for forty years. He wanted us to taste, many for the first time, the sweetness of G-d’s Torah. I was not one of his ’followers’. I knew him, before his death, only through his records and concerts. 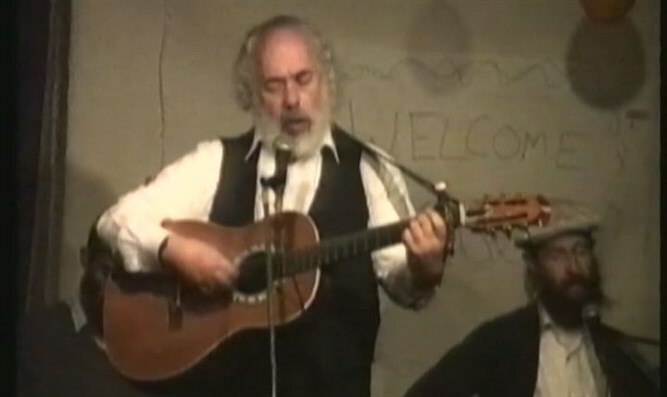 But over the last twenty years, with my wife’s help, we play Rav Shlomo’s music every erev Shabbat, and read his Torah and stories on every holiday. Rav Shlomo has become an important Torah figure in our family’s religious life. My oldest son ,however, did personally know Rav Shlomo. He spent many Sabbaths with him in Eretz Yisrael. As an infantry soldier in Lebanon, in the early 1990’s, my son listened to Rav Shlomo’s stories and music on his walkman before going to sleep in order to strengthen his morale. Rav Shlomo’s Torah is one of the main reasons my son then went on to become a Chabad Chasid. Briefly, whatever solitary mistakes of social behavior that may have occurred in Rav Shlomo’s life, they must be understood in the historical context of his life’s mission. Rav Shlomo was literally on the road (or in countless airplanes) for forty years in order that assimilated Jews could enrich their spiritual lives with Torah. And he died because of the toll that fulfilling this mission finally took upon his heart. Let’s do the statistics together. For forty years, he was on the road traveling, away from his home and family, for over 200 days a year. He thus gave between eight to ten thousand concerts, in close to a hundred countries, in over forty years. At least eighty percent of his audiences were assimilated Jews who did not know how to say Kriat Shema (the Hear O Israel prayer, ed.) by themselves. He studied Torah on every plane and in every hotel room on these long journeys. He and his family died with little money. He almost always distributed concert receipts to needy Jewish causes and people in the hosting community.. These points are historical facts, and not legends. Forty years on the road, that’s a lot of junk food, and unbalanced diets. That’s a lot restless nights of little sleep in unfriendly beds. That’s a lot of tension of meeting traveling deadlines, coping with jet lag, socializing with unknown and different types of hosts and audiences, and never having a comforting routine of daily activities. And most important, forty years on the road is a lot of loneliness. He suffered from loneliness because he was so far away, so often, from his home and family. He suffered from loneliness because the local Orthodox community did not know how to receive this long-haired, guitar playing rabbi. He suffered from loneliness because his assimilated Jewish hosts may have enjoyed his music, and been uplifted by his stories, but were simply unable to be empathetic partners in sharing his daily religious life. If there were, at some point in his life, incidents of inappropriate social behavior on the road, they are very clearly a result of this unending loneliness, while on an unending mission of spreading Torah. And you do not have to be a dietician or cardiologist to know what an unbalanced diet, high tension, and emotional loneliness does to an aging Jewish man’s heart. At the age of 72 his soul wanted to continue traveling and teaching, but his heart could no longer travel. Rav Shlomo literally died of a heart attack in a plane. To me he died a death of k’dushat Hashem. He literally died because he gave up his personal and family life, and his physical health, to teach G-d’ Torah all over the world. If this is not considered ‘sanctifying G-d’s name’ I do not know what is. In the early 1950’s there were only around 300,000 halakhically observant Jews –around three and a half percent the world’s total Jewish population. Only three and half percent of Jews who knew what tefillin or Shabbat were. I was one of the 93% who never saw a pair of tefillin till I was twenty one..
G-d then decided to send Rav Shlomo to lead the way in teaching his Torah to assimilated Jews in an attractive and accessible manner. He sent Rav Shlomo in a prophetic manner, as he once sent Isaiah and Jeremiah. Rav Sholomo accepted G-d’s mission, and did not disappoint Him. He developed a Torah that combined music, stories and hasidic wisdom. He developed a method of presentation and rapport with his audience that was both unjudgemental, and full of excitement for the Torah. His audiences listened, felt they were engaged in an uplifting, inspirational experience, and were never made to feel stupid or unknowing. G-d gave Rav Shlomo the gifts of teaching that were necessary for this special mission. And Rav Shlomo continued, continued and continued on this prophetic mission for forty years until his heart stopped and soul returned to the G-d that sent him on his mission. When Rav Shlomo was alive many Orthodox Jews, particularly yeshiva oriented Jews, could not understand the Torah that Rav Shlomo was teaching. They could not see through his unconventional appearance and behavior. In their eyes his Torah was the Torah of a summer camp or youth center for assimilated Jews. I understand these Orthodox Jews. They were completely engaged in a stark battle of survival and reconstruction of traditional Torah life after the Holocaust. They were not at the time emotionally or theologically ‘available ‘to try to understand Rav Shlomo’s unconventional, but G-d sanctioned, Torah . Twenty years later the children of these Orthodox leaders are beginning to understand the depth of Rav Shlomo’s Torah. They are beginning to acknowledge that G-d sent not a musically gifted youth leader, but a talmid chacham-a true Torah scholar, to do his revolutionary outreach work to 90% of the world’s Jewish population in the last half of the twentieth century. The wife of my closest friend in America, who is very active in his Conservative synagogue, is active in a Jewish Women’s Choir Group. Two years ago they stopped singing the music of Rav Shlomo because two of the women complained that it is not liberally correct to sing the music of man who may have had questionable social behavior at one point in his life..
My reaction to the choir’s decision to delete the music of Rav Shlomo was of a little bit of anger, and also of a lot of rachmanut-pity an dsadness. They are only hurting themselves. They are the big losers. They are denying themselves of the enrichment of his Torah for the sake of a distorted definition of morality. They are cutting off their nose to spite their face. They are throwing the baby out with the bath water. They are selling Manhattan Island for pockets of trinkets . Orthodox Judaism is a traditional, conservative life style. The Torah is conservative text because it recognizes the complexity of man’s nature and his historical text. Our rabbis labor with wisdom and sensitivity for two thousand years to painstakingly reconcile the tension between man’s complex nature and historical moment and the ultimate Truth of the Torah. In contrast p.c. liberalism wants to resolve all the complexities of man-woman relationships with a single equation: all intimate physical relationships between men and women are moral if both parties truly consent of their own free will. This moralism of pc liberalism ,in contrast to our Torah, is shallow and single dimensional. Its radical utopian tenor does not have the patience to recognize the complexity of the issues. For example, it does not want to cope with ethical dilemmas of using the tool of slander-lashon hara (shaming) as a means of correcting mistaken behavior. In my eyes the women of the Jewish Women’s Choir group are unfortunate victims of a misguided, one dimensional understanding of morality. By misunderstanding certain possible footnotes in Rav Sholomo’s life, they are denying themselves the privilege of reading the Torah based text of his life. Two years ago, my wife and I had to spend a Shabbat in a very poor, Third World city in the Philippines. We spent Shabbat with the local Beit Chabad, and Saturday night returned to small hotel room. We were pretty depressed, being so far away from our home and family in Israel. What did we do? We started playing Rav Shlomo’s music and stories on our tablet, and immediately we felt transformed. Like on a magic carpet, Rav Shlomo took us out of our Third World hovel, and transported us to the beautiful world of Torah and Eretz Yisrael. Such is the depth and power of the Torah that G-d bestowed on Rav Shlomo, a Torah to which he dedicated his life to ‘bringing us all home’. And I am sure he and his Torah will continue accomplishing such a sacred mission for many years to come. May all Jews have the good fortune to take off their mistaken ‘me-too’ moral glasses , and join Rav Sholomo as he is,( in his words), helping us all march to Jerusalem.